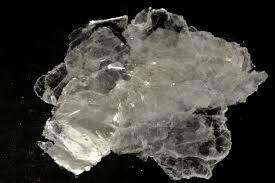 Manufacturer of Synthetic Mica from China. We are specilized in Producing Golden Mica Flakes for Pearlescent Pigment different type of Filler Paint, plastic, Cosmetics and Industrial uses. We Produce Wide product range from 100 Mesh to 1500 Mesh mica Powder.Our wet ground mica powder is produced by natural good quality white mica ore as raw material, with a unique manufacturing process: winnowing subtraction, water soak, grinding, drying, high pressure comminution, grading screen. The mica flake structure is greatest protected by unique production process, so it has the advantages of large diameter thickness ratio (HAR), good dispersion, good luster, high purity and so on. In addition , we can also manufacture Other Minerals, e. g Calcium Carbonate, Barite Powder, Color Sand, Quartz Sand, Granite, Vermiculite, Vermiculite Board, Cenosphere etc.